In certain cases, immediate loading is possible. 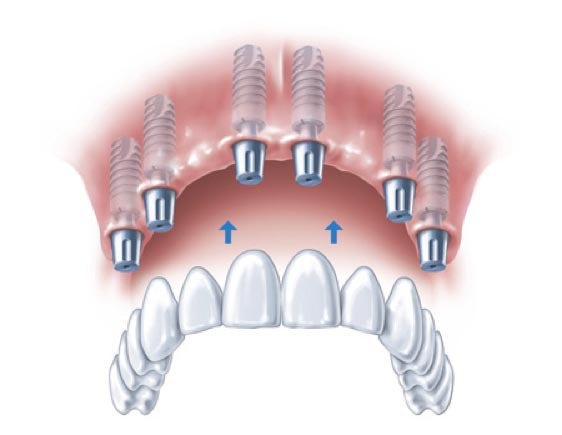 It is actually possible to place the implant prosthesis in a day or the following day. However, this technique is not intended for everyone. It requires a preliminary study. The temporary teeth (Crown or bridge) are put in place right after the dental implants placement. Sometimes until few hours later (up to 72 hours). It is also possible to replace resin teeth with a permanent crown or bridge after the healing phase (3 to 6 months later). The temporary implant-supported prosthesis helps the patient find a natural smile and masticatory function within 24 to 48 hours. 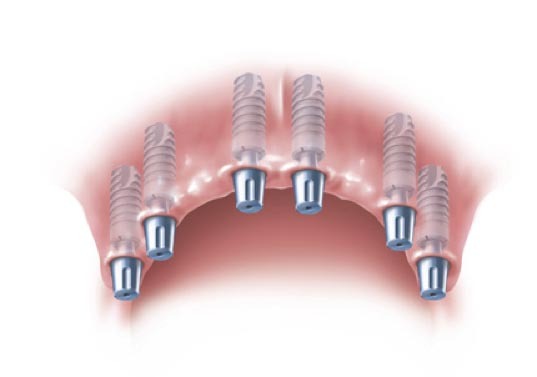 This solution is safer and more aesthetic than placing glued or removable prostheses.